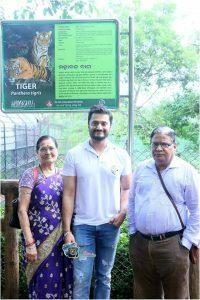 Bhubaneswar1/9/18::On 26 August 2018, Odia cine star Chandan Kar adopted the Royal Bengal Tiger “Bahubali”, his second adoption in Nandankanan. 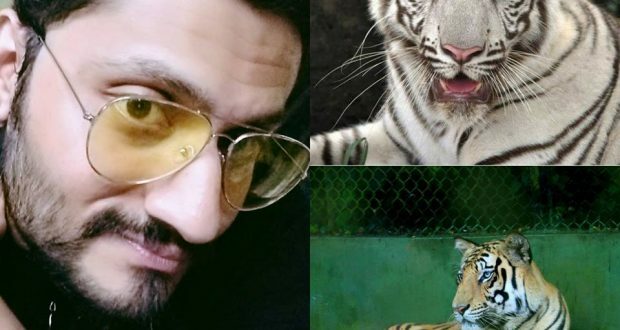 To draw public attention and create awareness on adopting animals the actor has popularized the program of adopting animals through various TV channels, Radio shows and web forums. 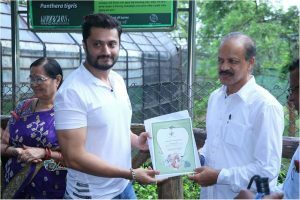 On 16 September 2012, Chandan adopted a White Tigress named “Bijaya” through the “Adopt an Animal” program of Nandankanan Zoological Park located at Bhubaneswar, Odisha. Later, Chandan also joined the organization People For Animals PFA, Bhubaneswar started in 1998 by Jiban B. Das under the advice of Smt. Maneka Gandhi to campaign for animal rights and extend services to the animals in distress in Odisha. To widespread the message for stopping cruelty towards animals Chandan regularly feeds stray dogs and cows in public and appeals the mass to protect animals against cruelty during his public appearances and interviews. To promote eye donation in the State and raise awareness, Chandan has donated his eyes with the help of Drushti Daan eyebank. Chandan is an active member and counselor of the NGO named Save Indian Family Foundation (SIFF) since the year 2007. SIFF is a registered, non-funded, non-profit, non-governmental organization(NGO) headquartered at Bangalore that conducts research on social trends affecting men. He was also featured in the movie De Maa Shakti De in the same year. The actor is known for performing action scenes. Chandan has been able to portray both positive and negative characters and has been recognized as a versatile actor in the Oriya Film Industry.